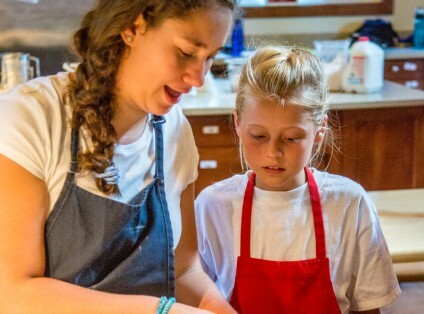 With your cooperation, our Nursing Staff in the Nightingale will make every effort to keep your daughter healthy and cared for during her Camp stay. The medical services at Camp are excellent. We have a minimum of 2 Health Care Staff and a local physician’s practice is on call. There are some differences between the health care at Camp and the home situation. Because of the shortness of the Camping season, concern about contagion, and a strong sense of obligation towards parents, we are especially cautious in treating every child. Therefore, we may act more quickly to x-ray a sprain or medicate a sore ear or throat than your physician would at home. Any time a child spends the night in the Nightingale, needs prescription medication, or must visit the hospital, you can expect to receive a call or email from our Health Care Staff. If your child writes to you about an illness that you have not heard about from the Camp Directors or Health Care Staff, please call the Camp Health Care Staff for verification and to reassure yourself that your daughter is fine. It is mandatory that before any child is permitted in Camp, our Office must first have a current and completed Health Form on file. The form should include any special health instructions as well as a clear and concise description of your daughter’s health history. Due to our litigious society and privacy acts, medical practitioners are providing limited information on these forms, so we need your help to provide this important information. This helps our Health Care Staff make informed assessments and decisions. The online Health Form MUST be submitted and signed by May 1, 2018, the printable form needs to be completed by your daughter’s medical provider and returned by June 1, 2018. Exam date must be within 12 months of Camp attendance. We need this lead time to properly record your child’s information in our database, so the Health Care Staff can familiarize themselves with any needs your daughter may have. Secondly – if the form is not signed, Camp does not have the right to treat your daughter, even in an emergency. Sign-in to your Parent Account to complete this form online! Please provide your daughter’s insurance information on the Health Form in the Insurance Information box. If your daughter needs medical services outside of what Fernwood Cove provides the health care provider will bill you and/or your insurance carrier. In our on-going commitment to meet the needs of our Campers who require medication while at Camp as well comply with strict state regulations regarding medication dispensing for summer Camps, we will continue working with CampMeds Inc., a pre-packaging medication program founded by a former Camp nurse. CampMeds has been servicing the Camping industry for the past 14 summers providing the convenient service of dispensing, packaging and shipping medications directly to summer Camps. Our policy and procedure for dispensing and administering medicine requires Camp families to have ALL pill form medicine dispensed by CampMeds and sent to Camp prior to their arrival. The exceptions are: Accutane, growth hormone, insulin, injections, birth control pills. *Our camp stocks most over the counter items such as Tylenol, Advil, Benadryl, etc. so there is no need to have CampMeds dispense typical OTC items. Medications that are in pill form are individually packaged and sealed per date and time of administration. Each individual packet may contain one or more pills prescribed to be given at the same time. This method of dispensing medicine during Camp minimizes potential errors; ensuring every Camper receives the correct medication/dosage at the correct time/day. It also allows your children to spend their time in activities vs. waiting in line! This also allows nurses to have more time devoted to your child’s other healthcare needs. Medication at Camp is dispensed at mealtimes and bedtime. Only if medically necessary and a specific time are written on the prescription, will the meds be dispensed at a different time of day. You are responsible to check that your child’s prescriptions are written exactly how and when the medication is to be given. For example, if the med is to be taken only as needed, the prescription must be written that way. If the med is to be the “brand drug”, the prescription must be written with the words “Brand Name Necessary” or the generic will be dispensed. We want to be clear that we do expect 100% participation from families with Campers who will need medication while at Camp. The only exception to this procedure is if CampMeds notifies us that they are unable to accept your insurance. If your Camper does not take medication, you do not need to register with CampMeds. If your camper will be taking medication at camp this summer, please read the following detailed letter, important FAQ’s and visit their website, www.campmeds.com for additional information and to register your camper. The State of Maine has passed a law that affects all Campers who need to have readily available (carry or possess outside of the regular supervision of the Camp’s Health Care Staff) and to self-administer emergency medication while at Camp. The law establishes procedures to allow such access to emergency medication by those Campers who have been diagnosed to be at risk for a potential medical crisis such as asthmatic attacks or allergic reactions. These medications include, but are not limited to, an asthma inhaler or an epinephrine (epi) pen. You only need to complete this form if your daughter needs to, and you want to permit your daughter to have readily available and to self-administer an inhaler, an epi-pen or other emergency medication. Please be sure your daughter has received her Tetanus and Polio immunizations prior to Camp. Also, take precautions to keep your child from being exposed to communicable diseases at least three weeks before Camp opens. CAMP MUST BE NOTIFIED IN CASE OF DIRECT EXPOSURE TO ANY COMMUNICABLE DISEASES SUCH AS CHICKEN POX. In addition please inform the Directors if your daughter has suffered any health condition that could affect her well-being during the opening week of Camp, for example if she has been on antibiotics. CDC recommends that Campers stay home for at least 24 hours after your fever (100°F or 37.8°C) is gone except to get medical care or for other things you have to do and no one else can do for you. (Your fever should be gone without the use of a fever-reducing medicine, such as Tylenol®.) You should stay home from Camp, work, school, travel, shopping, social events, and public gatherings. If your daughter exhibits flu-like symptoms while at Camp, she will be isolated from the community until she is fever free for at least 24 hours. 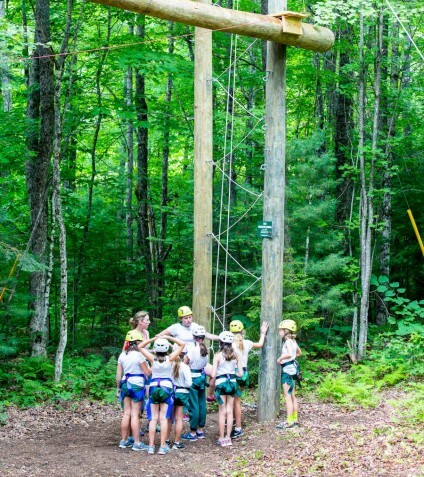 If your daughter has a problem with her orthodontia while at Camp, we will notify you and if needed will bring her to Androscoggin Orthodontics in Auburn, Maine where we have a close relationship with Dr. Bauer. If you are considering braces for your daughter, we recommend you wait until after Camp. Initial braces often need adjustments in the first few months. Your daughter will enjoy her time at Camp more if none of it is spent in an orthodontist’s Office! If your child wears eyeglasses or contact lenses, please send along an extra pair. Also, please make sure the prescription is attached to the medical form. Any repairs done to glasses will be added to your daughters account and be itemized on the final bill. Head lice infestation is a persistent medical problem in any communal setting where children are in close contact. Each summer we take proactive measures to protect your children under our care, prevent the spread of lice and allow us to pursue the fun of Camp life. Fernwood Cove adheres to a strict NO NIT POLICY. Read the information provided by the National Pediculosis Association (NPA) at headlice.org; learn to recognize lice, nits (lice eggs) and the symptoms of their presence. Check your daughter’s hair now to become familiar with the process. 2 weeks before Camp – check your child’s head. If there is evidence of lice, consult your pediatrician for treatment, remove all nits, and notify Camp so we may double-check her upon arrival. Check your child’s head the day before departure for Camp. If evidence of lice and/or nits, delay her departure to Camp for medical reasons until all lice and nits have been removed or notify us and she can be treated by LTC for $350. Staff will be carefully checked for head lice. Staff will be taught in Pre-Camp orientation how to detect symptoms of lice. Children arriving at Camp will be screened for nits and lice before they enter their living space by Lice Treatment Center,(LTC). Any child who arrives with nits/lice will NOT be isolated from the group, she will be treated and return to the bunk. LTC will provide the first treatment and our Health Care Staff will provided the follow up treatments with recommended products provided by LTC. The cost for this treatment is $350. We will call her parents to discuss the findings and treatment. We will have periodic screenings throughout the summer, and your daughter will be thoroughly checked before she leaves for home. LTC will return later in the summer to ensure that your daughter is lice free. We are confident these measures will enable us to have a healthy summer!